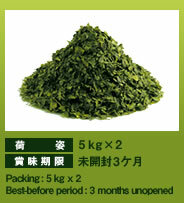 Asahina in Shizuoka Prefecture is famous for the production of Gyokuro, refined green tea. 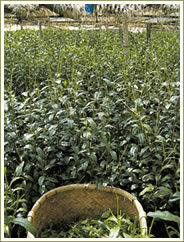 Tencha* used for Meiyo’s matcha products is cultivated mainly in the Gyokuro-producing area of Asahina and other parts of Shizuoka Prefecture. All the tea leaves for Matcha grown in this area are processed by Meiyo, which provides tea leaf producers with technical guidance concerning cultivation methods, production methods, fertilizers, pesticides, etc. No. 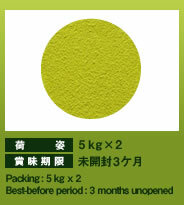 1 is the highest class of the Asahina brand and has the best quality in terms of color, flavor, and taste. 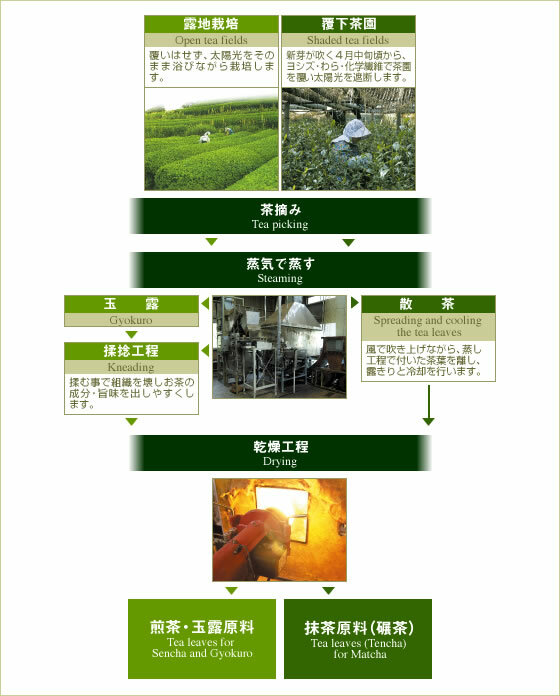 Products of the Asahina brand that have been sterilized by the aerosolization method, which results in minimal damage to tea leaves. Meiyo products that have gone through the standardized sterilization process are marked with “S” in their name.